Will Germany proceed to hold Europe on its shoulders? 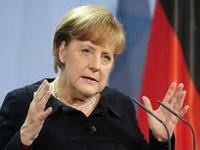 At the beginning of April German Chancellor Angela Merkel spent her vacation in the island close to Naples. She was visited by the Campania region governor Stefano Caldoro who afterwards posted a video on his website where he urged her to look at the difficult areas including youth unemployment rates 10 times those of Germany. It is not the first time when Germany is criticised by South European countries complaining that they have to apply strict austerity measures in exchange for financial assistance. According to the Eurostat report in February the unemployment rate in the Euro zone remained 12 percent, whereas the total unemployment rate in the EU is 10,9 percent. The data of Eurostat showed a huge difference between the Eastern and Southern part of Europe: unemployment rate in Austria, Germany and Luxembourg is respectively 4,8, 5,4 and 5,5 percent; whereas in Greece and Spain – 26 percent. Unemployment rate of youth under 25 years of age is even higher: in Greece – 58,4 percent, in Spain – 55,7 percent, in Portugal, 38,2 percent and in Italy 37,8 percent. The average youth unemployment rate in eurozone is 23,9 percent, in Germany – 7,7 percent. 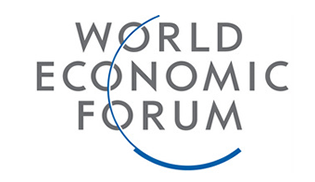 The above figures demonstrate challenges of the eurozone in competing in the global economy. Europe is being dragged down by Southern, meanwhile China‘s DGP has been increasing annually by about 8 percent. Economy in the US has increased by 2,2 percent in 2012 and this year the country expects a 1,7 percent growth. Austerity measures imposed by Germany and other eurozone states-donors have negative impact on the entire Europe’s: the economies of all countries are not isolated due to the open trade zone; high unemployment rate in one state increases the number of economic migrants to the states with lower unemployment rates and disturbs the labour market of richer countries. According to A.Mas-Colell, a representative of Spain‘s richest but indebted region Catalonia, the EU leaders must not forget that negative consequences of the austerity measures could be experienced not only in Southern Europe but also in the rich eurozone countries. Being professor of economics at the Harvard University, he is sure that after several budget cuttings marginal austerity measures will not save the economy. Representatives of other South European countries would surely agree with him. Austerity is necessary but consequences of the measures imposed by Germany will soon affect the rich countries. According to the investor G.Soros, before the elections in September Germany will enter recession of its own making. He is of the opinion that monetary policy of the EU leaders based cost reduction does stimulate economy (it is impossible to pay off the debts and reduce budget deficit at the same time); thus, soon Germany‘s export volumes will decrease because of the reduced demand in other countries and this will become a detrimental factor in the country‘s GDP. The Germans criticised for the drastic austerity policy consider themselves poorer than South Europeans. According to the survey of the European Central Bank, in 2010 the average household wealth in Germany (51 thousand euros) was half less than that in Greece (102 thousand euros) and the recently rescued Cyprus (267 thousand euros). The household wealth was evaluated by summing the value of the real estate, vehicles, jewellery and arts items, life insurance and savings and subtracting the debts from this sum. State pension was not included in the evaluation of household wealth, besides, households in Germany are quite small (on average 2,35 persons). According to the above survey, the wealthiest households are not in Germany but in small states with big banks: in Luxembourg, Cyprus and Malta. Property from generation to generation is being accumulated in Belgium, Spain, Italy and France, but not in the war-hit Germany. Therefore the Germans are not satisfied when they have to save the countries which are wealthier than Germans. Thus, the loan crisis in Europe not only made a gap between South and North Europe (economic, social and even emotional) but also is threatening to turn a vicious circle: consequences of the austerity measures fill finally affect the “countries-saviours”, since isolation of weaker markets is impossible due to the common eurozone currency. Drastic austerity policy is disliked by both, the South Europeans with their high unemployment rate, and Germans who are asked to save the countries which could be even richer than Germany and who are unable to manage responsibly their finances. A question arises: will Germany continue to hold Europe on its shoulders?